Here are highlight photos from several weddings I have photographed over the past years. Matthew and Dawnette's wedding was a delightful, God-honoring, wedding. While, sure, I was there as the photographer there were a number of times during the day when I was overcome with emotion: rejoicing with them and their families, and praising God for what He has done. 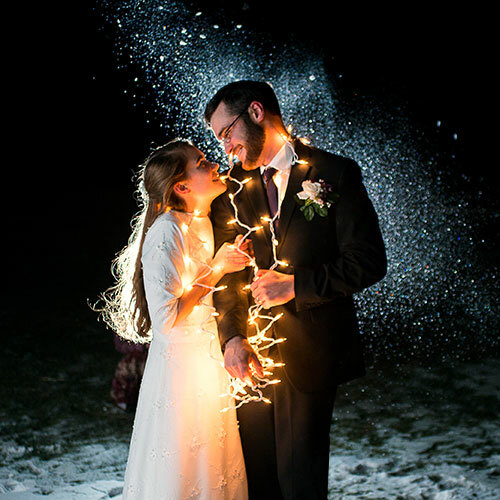 A gorgeous, cold, November day in Alaska was the scene for Joshua and Maryanna's wedding. 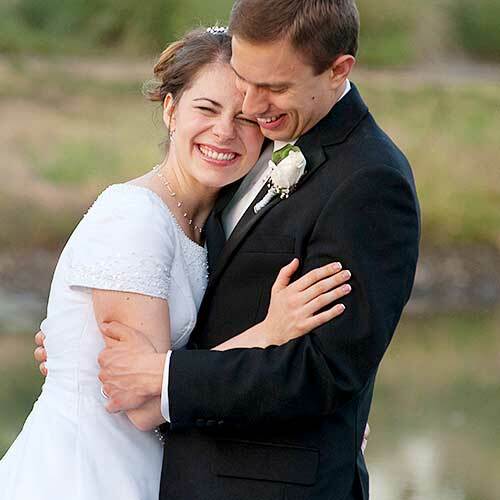 Their greatest desire for their wedding was that it would glorify God, and it was a joy to be a part of their day. 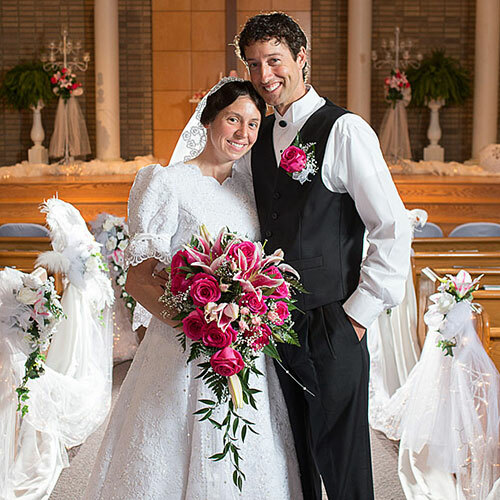 A delightful, God-honoring Mennonite wedding in Stillwater, Oklahoma. Josiah and Sarah were a delight, and the cloudy skies and off-and-on rain didn't dampen their spirits. A stunning fall day across the sound from Seattle in Manchester, Washington. 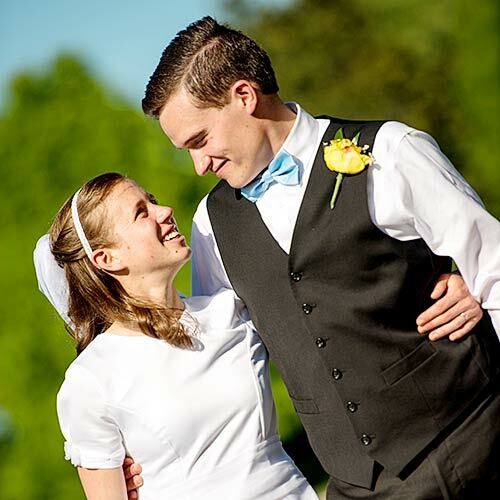 What a joy to witness these two amazing young people unite their lives together as they seek to honor and follow God. And no, it doesn't rain all the time in Seattle. We had beautiful blue skies! A beautiful wedding in the Illinois countryside. It was a delight to capture Benjamin and Natalie's wedding photos. Off-and-on rain throughout the day was a blessing to the local farmers, but I had to be a bit creative with some of the photos! A casual Oklahoma wedding in December! The cold temperatures didn't stop Kenneth and Erin from wanting some outdoor photos - and we got some great photos in the wheat field next to the church. May God not only bless this new couple, but also protect Kenneth as he serves in the military. 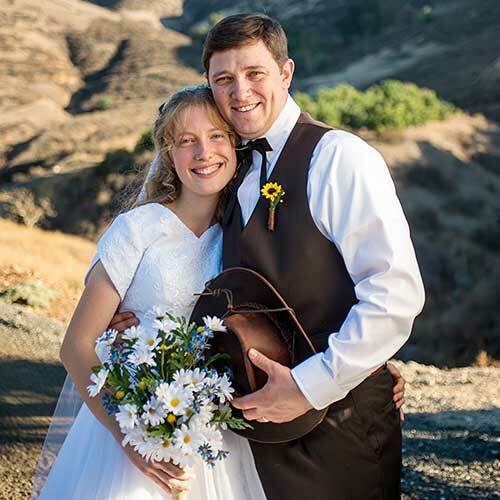 Moses and Rebecca were the second ceremony for a beautiful double-wedding in California. Their ceremony was outdoors in a gorgeous mountain location with delightful California wedding. 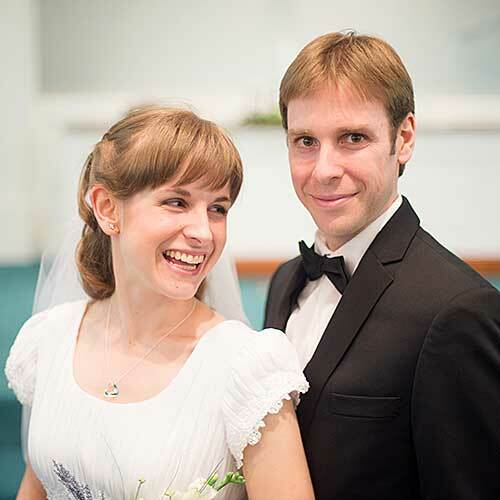 James and Rachel were part of a double-wedding in California: two ceremonies with a shared reception! The weather was just what you'd expect for California in November: perfect. It was a delight to see these two young people unite their lives together as they seek to serve God wholeheartedly. Joseph and Elissa's wedding was held in the beautiful Kentucky countryside on a gorgeous September day. Perhaps I'm a bit biased as Joseph is my brother, but their wedding day was absolutely perfect. Their love for each other and the Lord were clearly evident! Jonny and Jenny's wedding was an absolute delight. 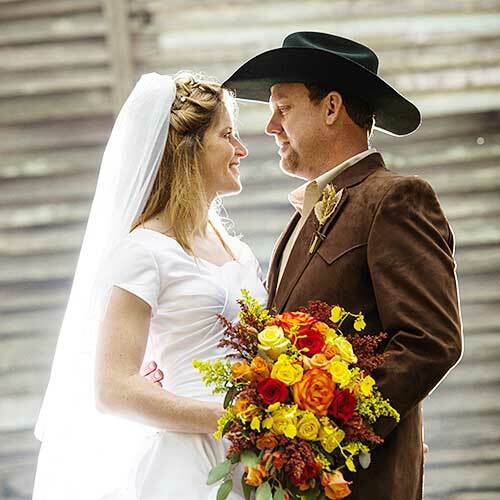 The wedding was held in somewhat rural Tennessee on a warm and sunny day in May. I loved seeing the passion they both had for the Lord, and for each other! Bradley and Erin's wedding wedding was amazing. A beautiful, historic house. Immaculately manicured grounds. A small gathering of family and friends. A candlelight reception. I'm so glad I got to photograph their wedding! 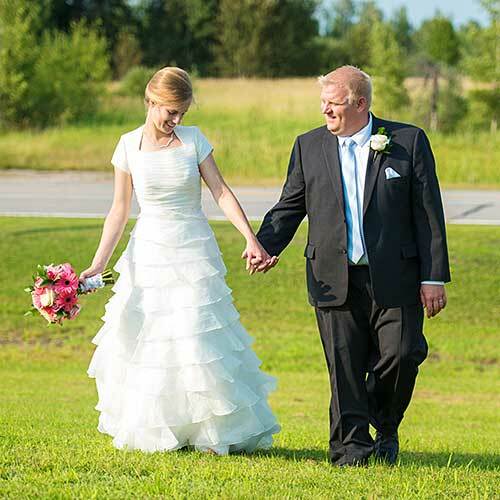 Pastor Cory and Joy's wedding was held in a small town on the Canadian border. 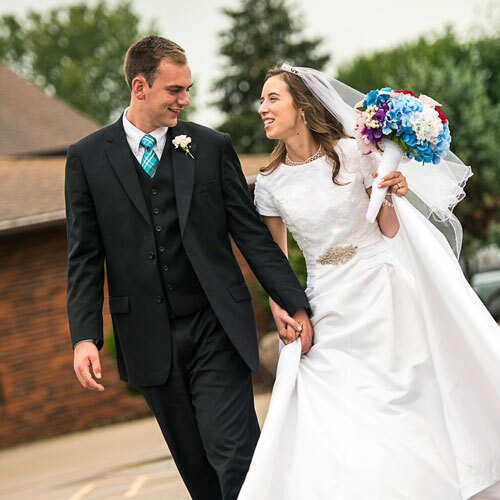 A beautiful day full of joy as two began their new life of ministry and service together! I greatly appreciated Pastor Cory's stand for truth. This wedding was also memorable due to the dim theater, and was my first wedding requiring moderate strobes throughout the ceremony. 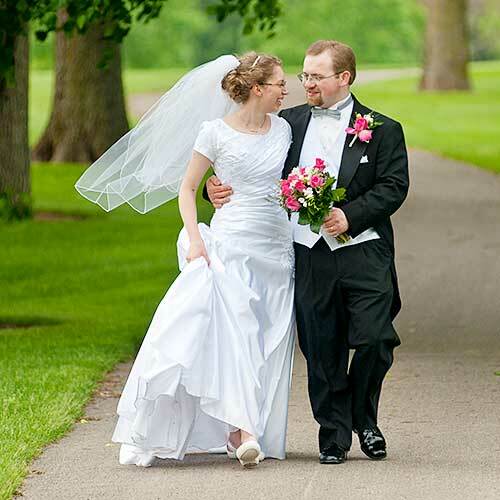 Josh and Claire were married on a warm June day in Lee's Summit, Missouri. Formal photos of the bride and groom were planned for sunset, and God blessed them with a stunning sunset! Josh and Claire were an absolute delight to photograph. 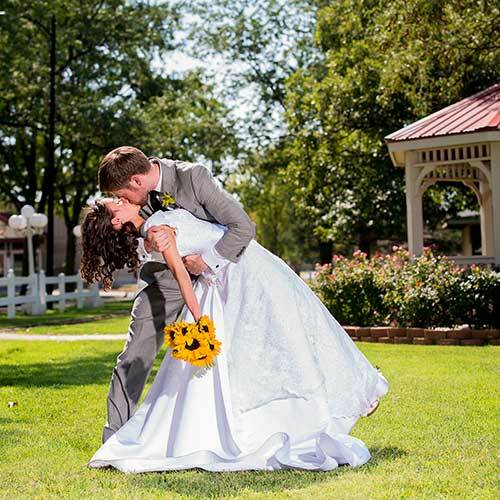 Brent & Elizabeth's wedding was held at the Kansas State Fairgrounds - and what a fun location it was! We had a blast getting creative photos around the venue, and the wedding and reception venue were beautifully decorated. It was an absolute joy to be a part of Alan and Rachel's wedding as they began their life together. You couldn't help be notice their love for each other and desire to please God. 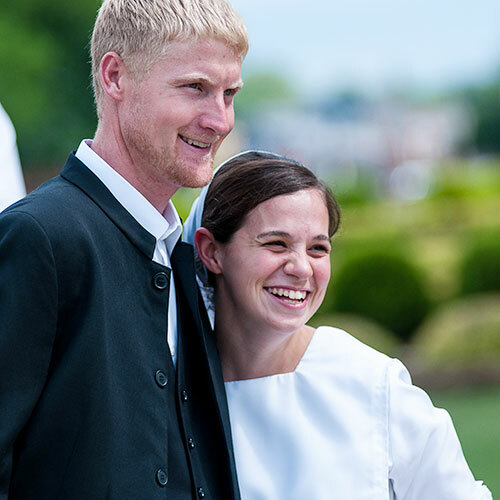 Both come from large, God-fearing families and the day was truly a day of rejoicing. Caleb and Lauren's wedding was near Ft. Worth, Texas, in September - which is a good time of year to get married in Texas. The reception was a candlelit reception, and the day ended with outdoor photos at a nearby rose garden. I've said it before and will say it again: I love photographing God-honoring weddings. 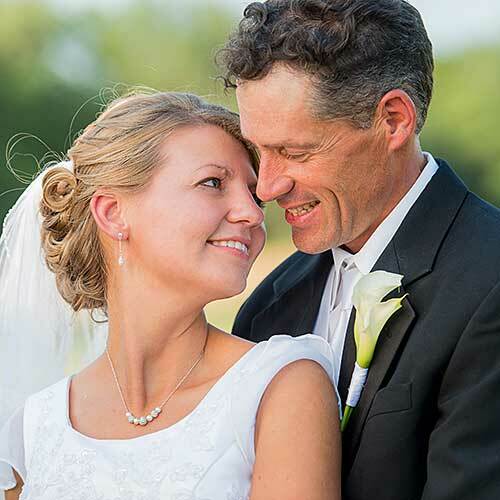 Jonathan and Linnea's wedding included a traditional Christian ceremony, followed by photos at a nearby golf course, and then a relaxed reception at Linnea's family's property -- surrounded by the gorgeous rural Illinois countryside. Have a question? It's easy to send me a message... Click here to contact me!